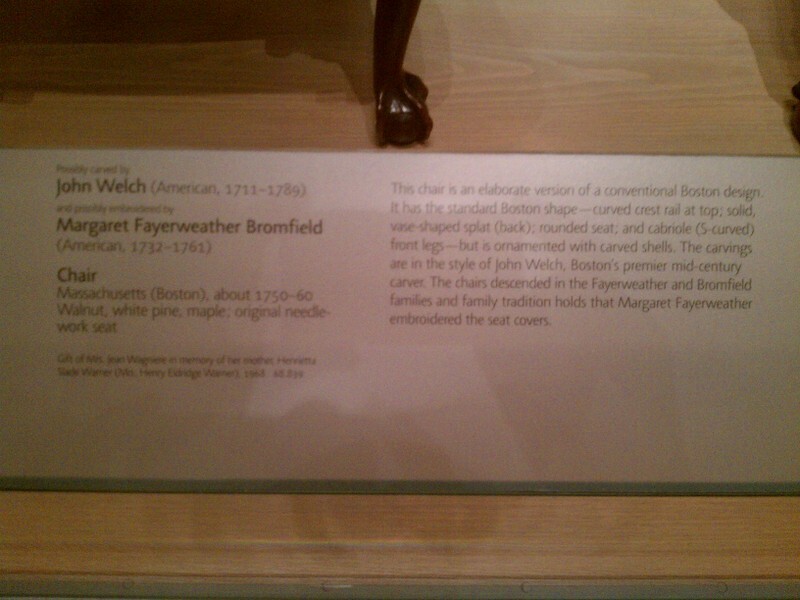 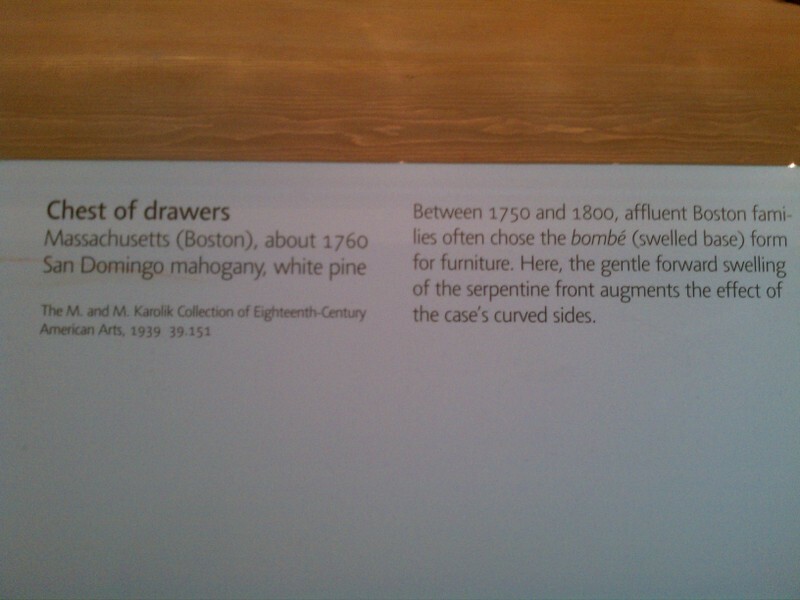 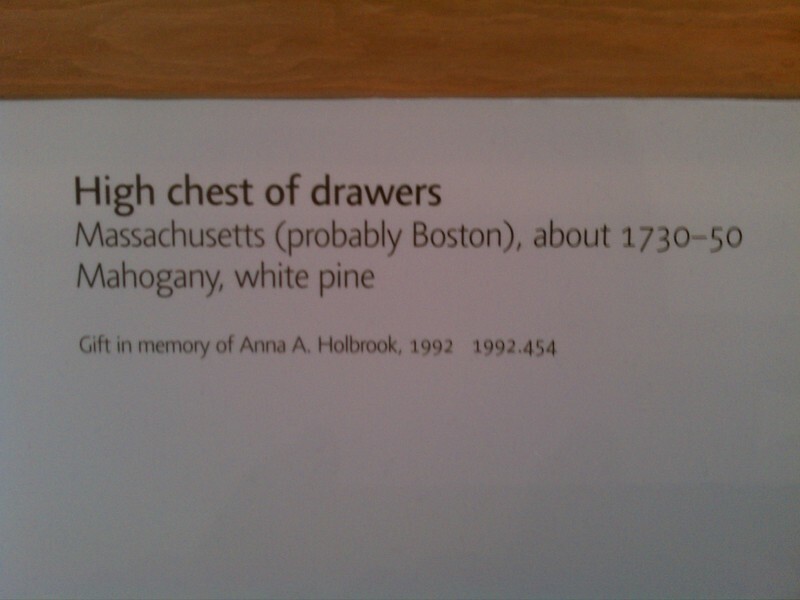 Yesterday I had a chance to visit the Boston Museum of Fine Arts. 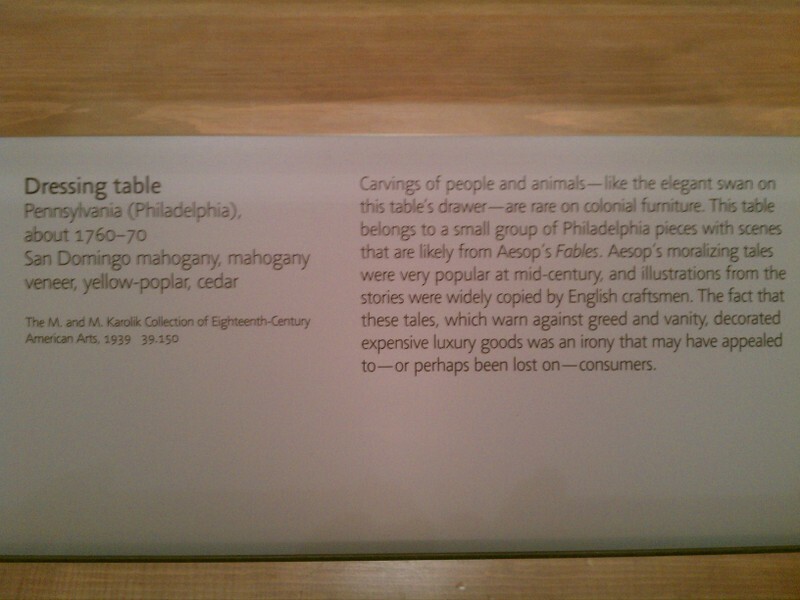 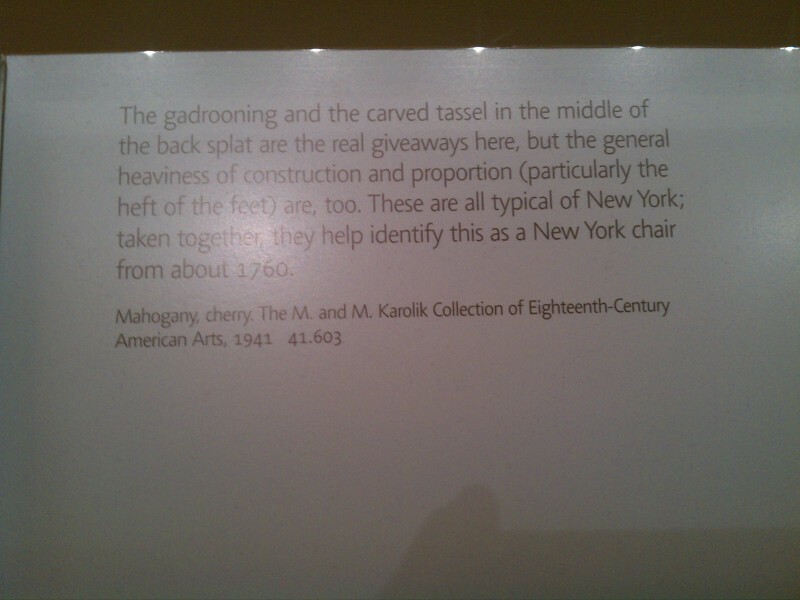 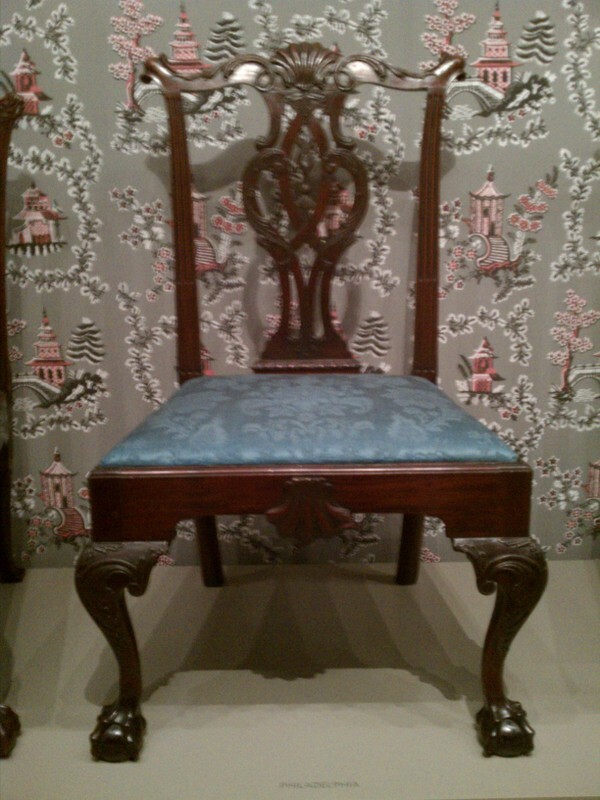 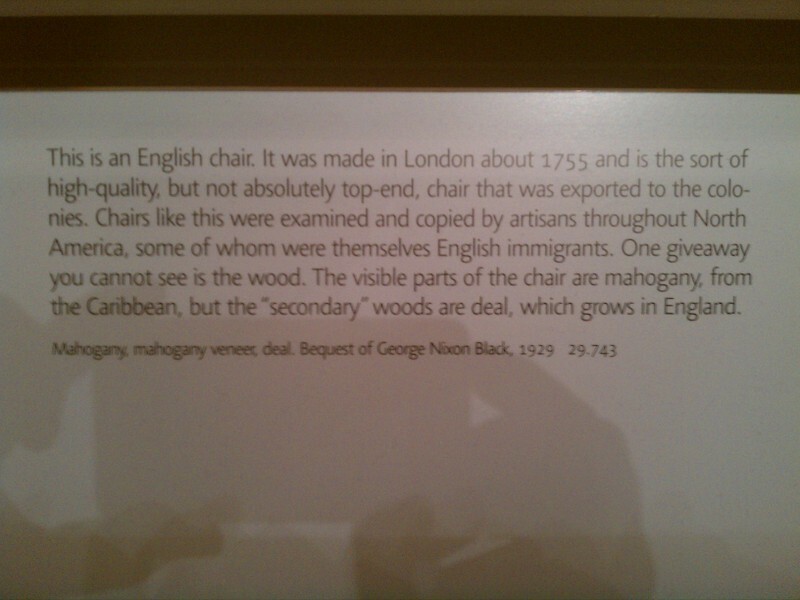 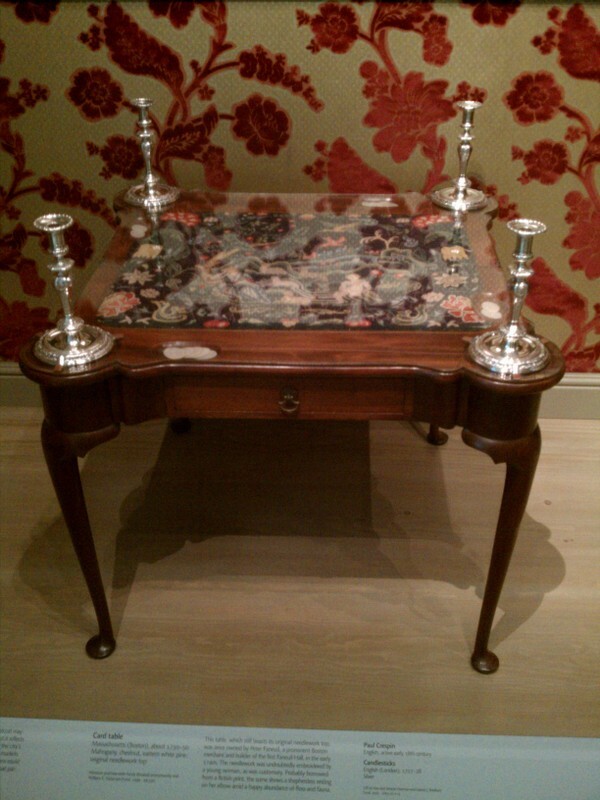 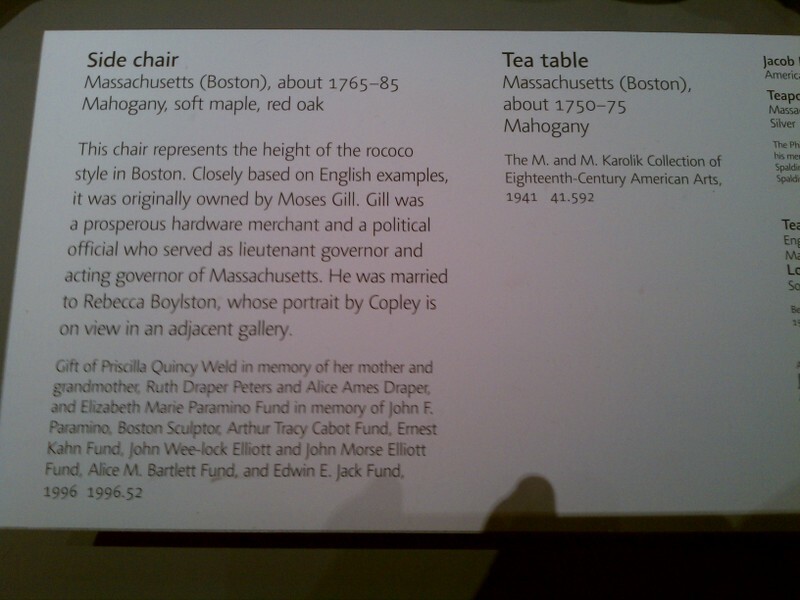 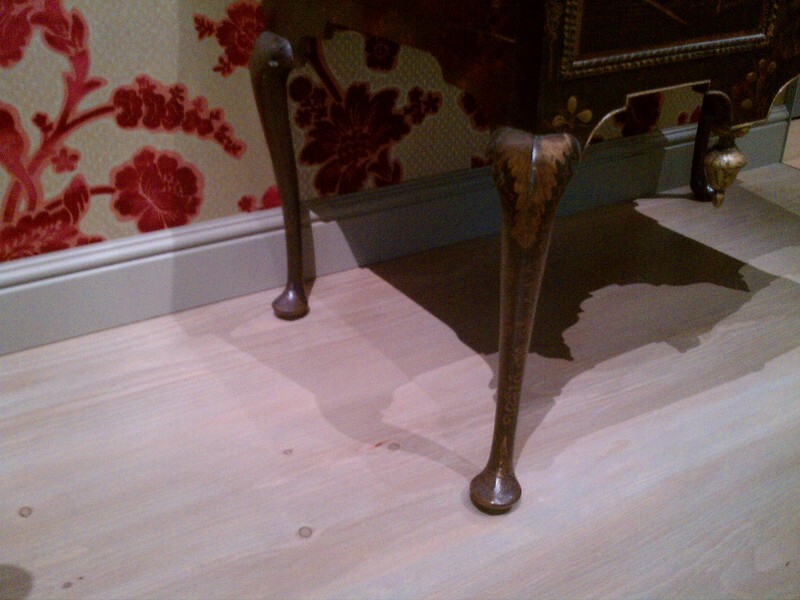 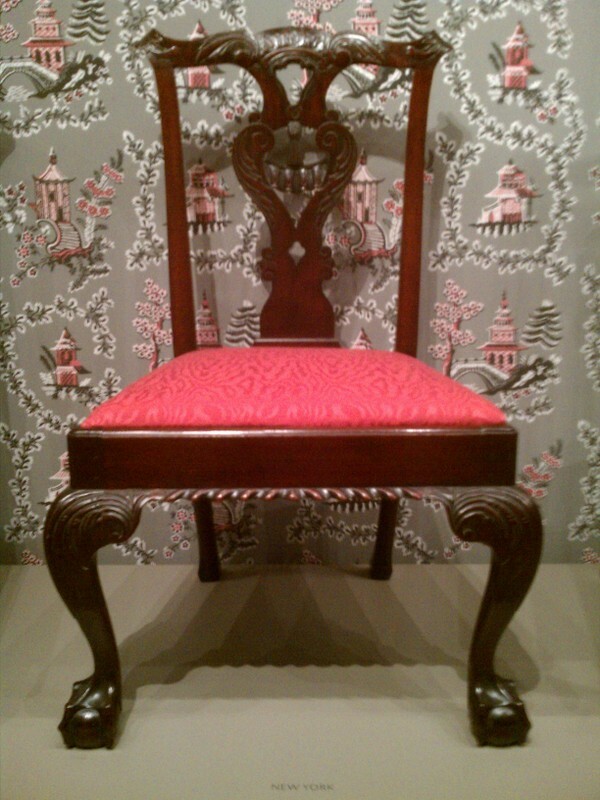 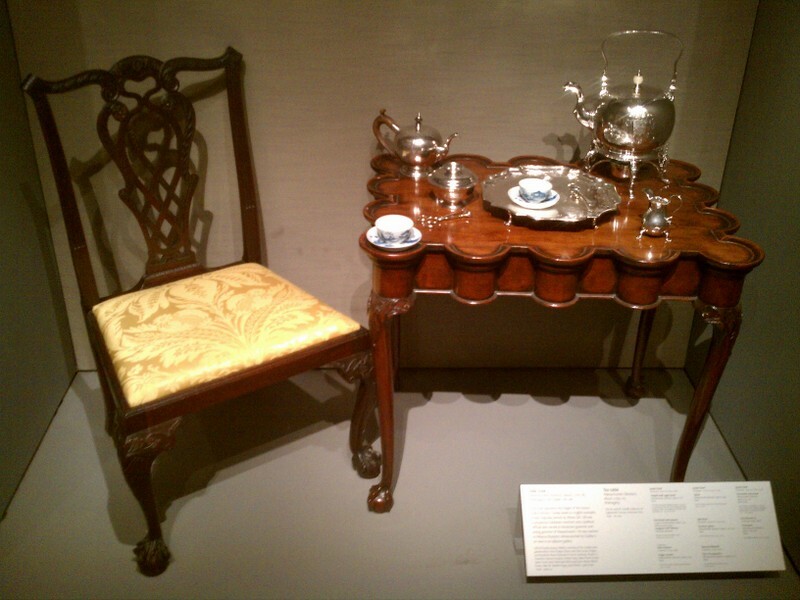 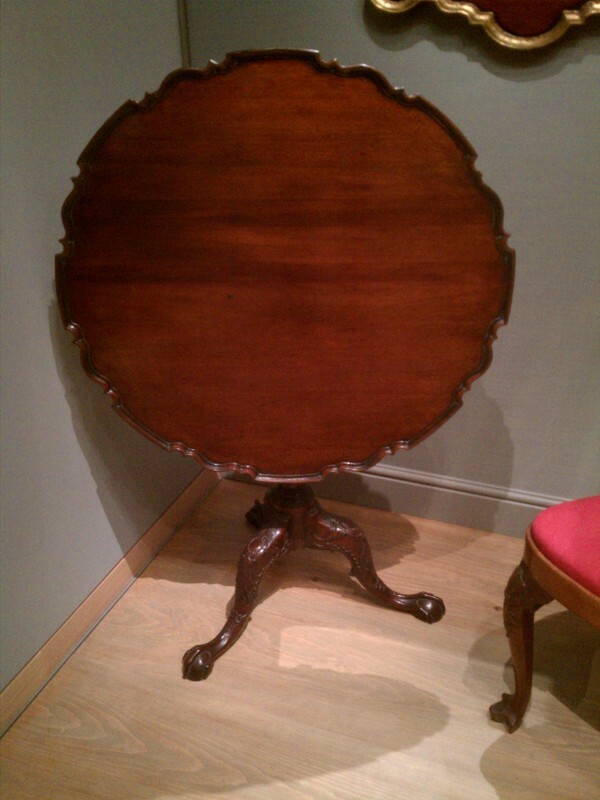 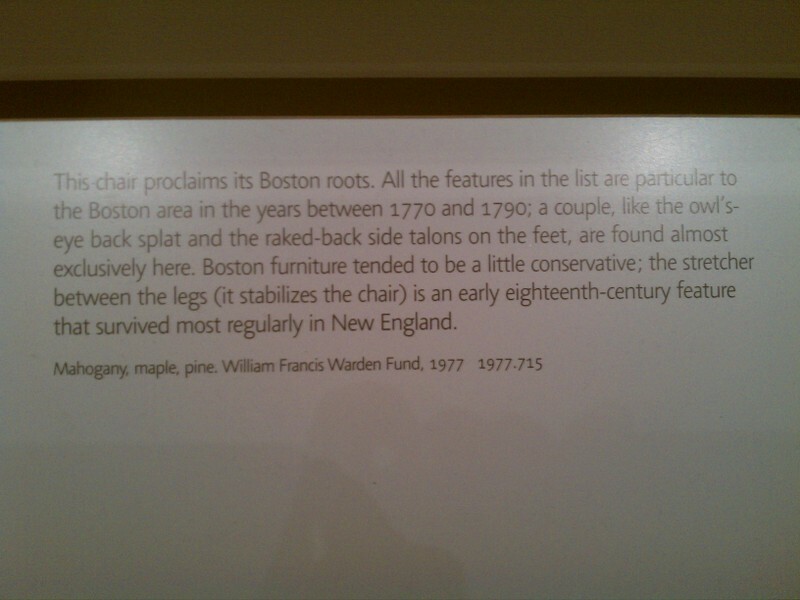 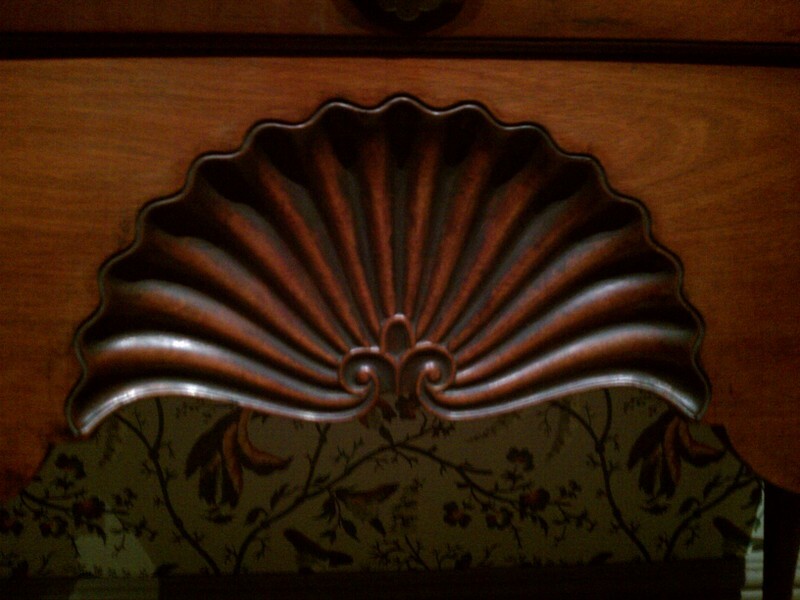 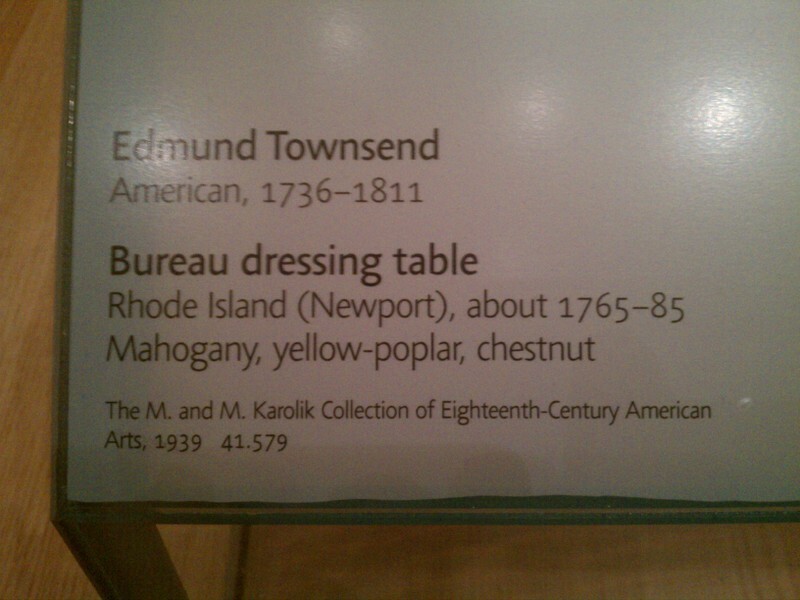 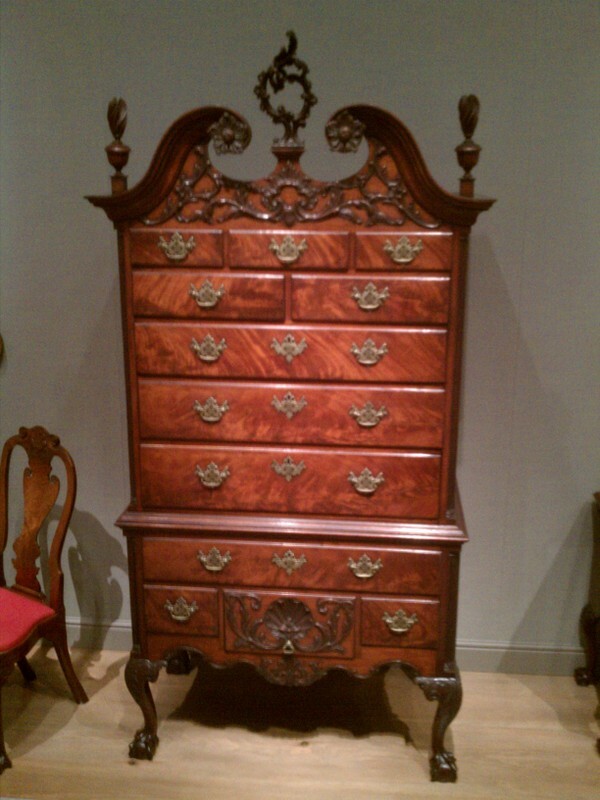 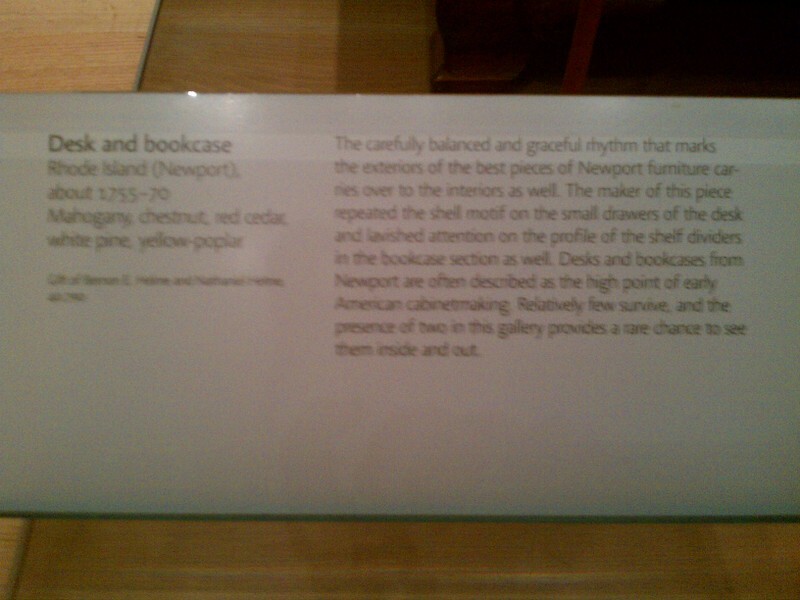 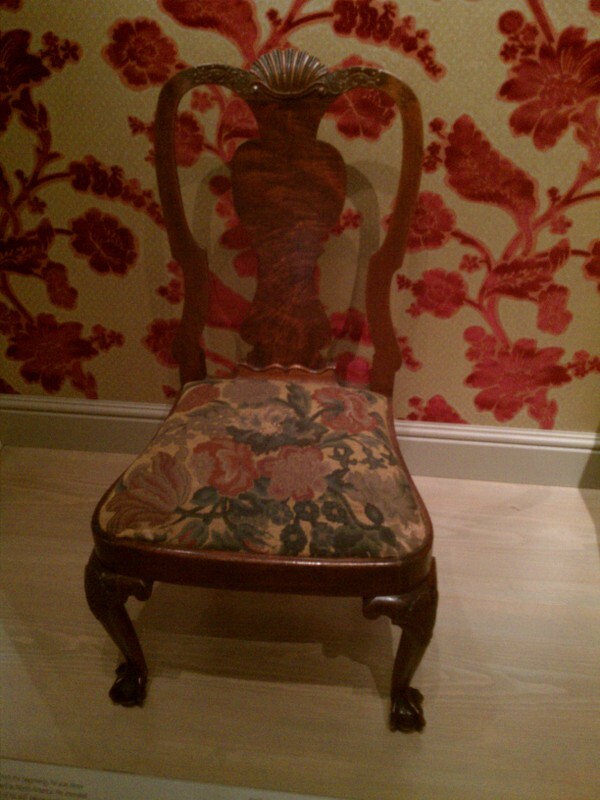 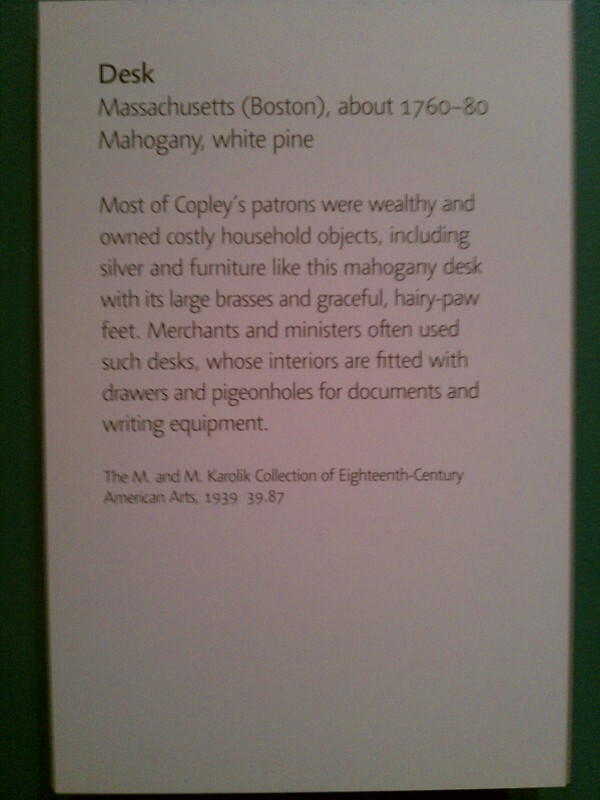 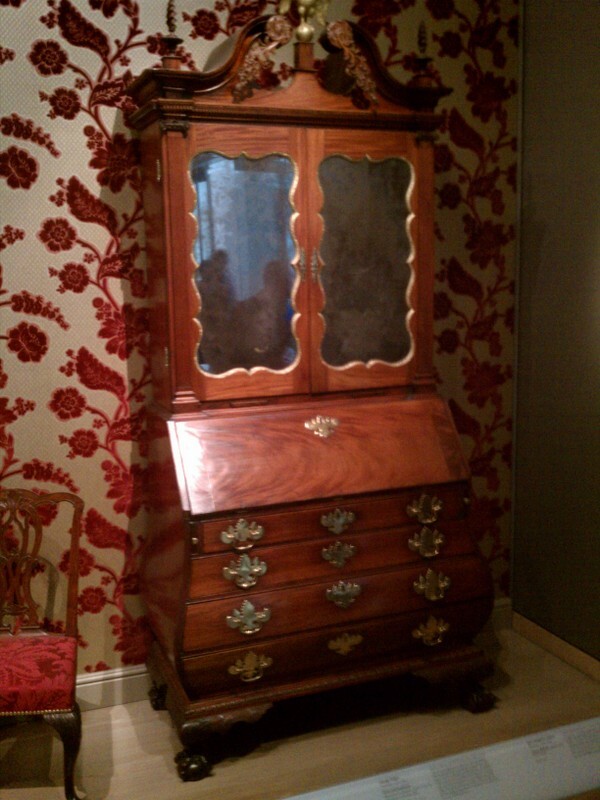 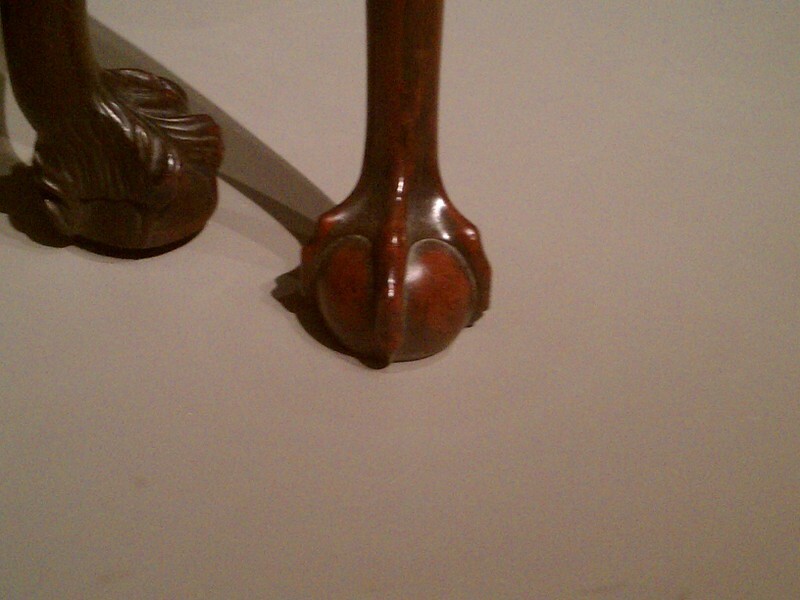 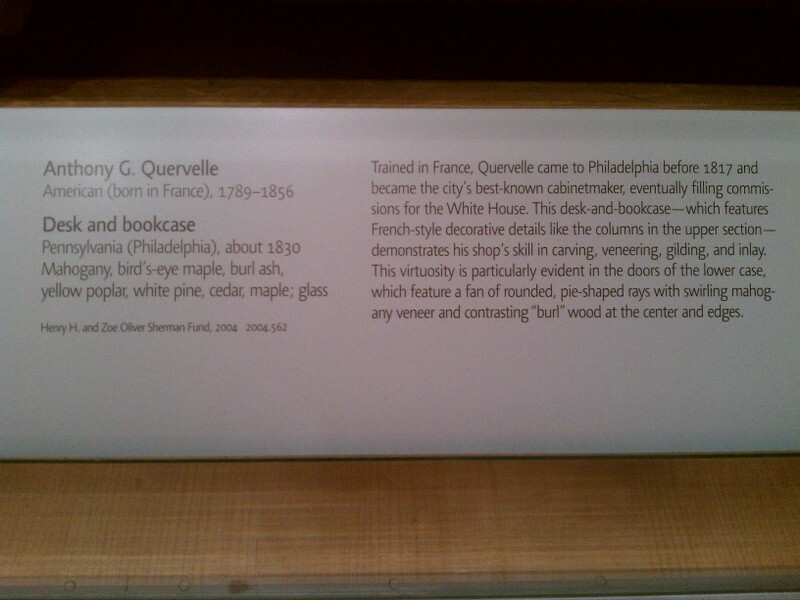 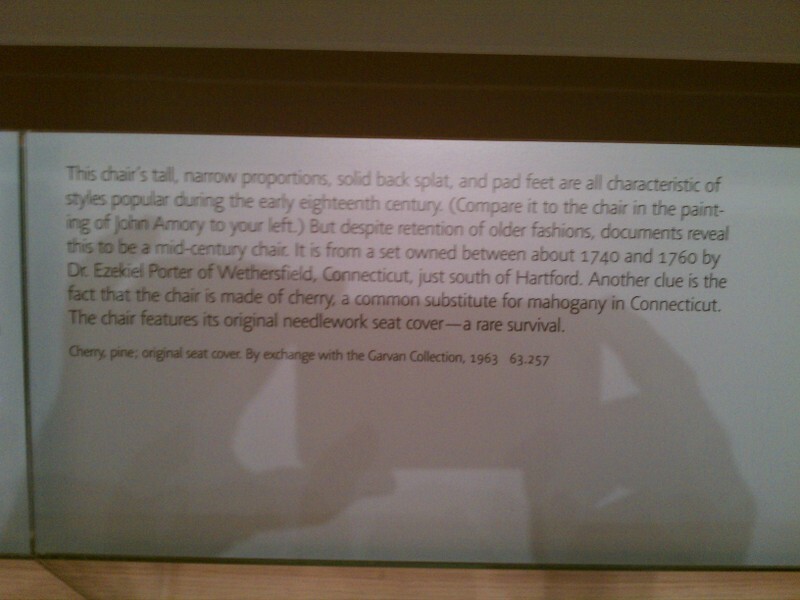 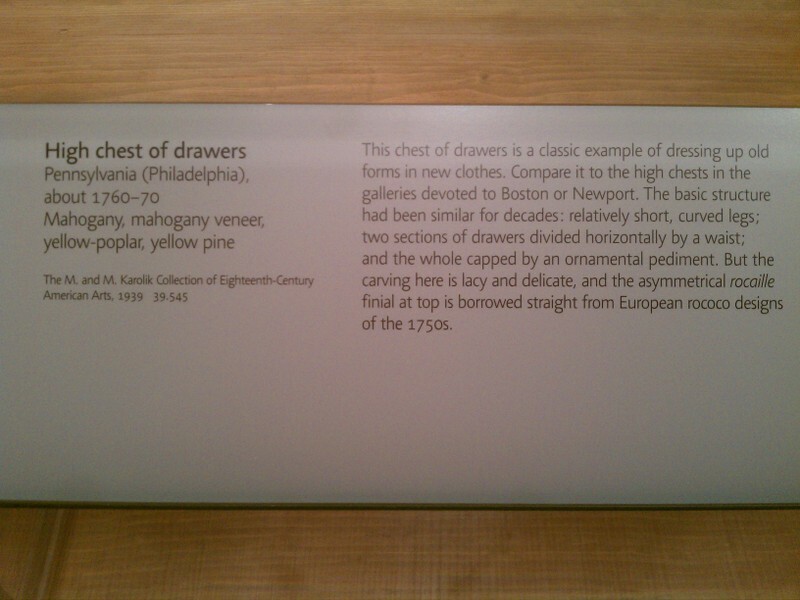 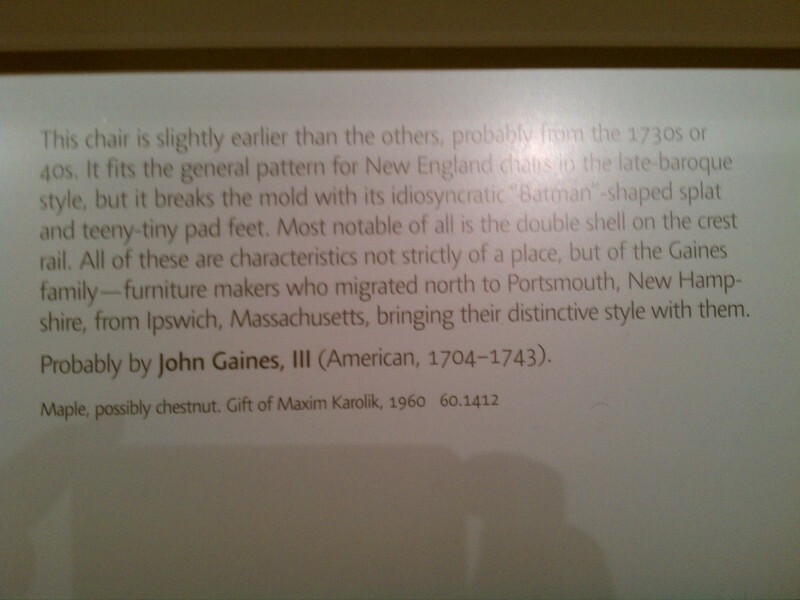 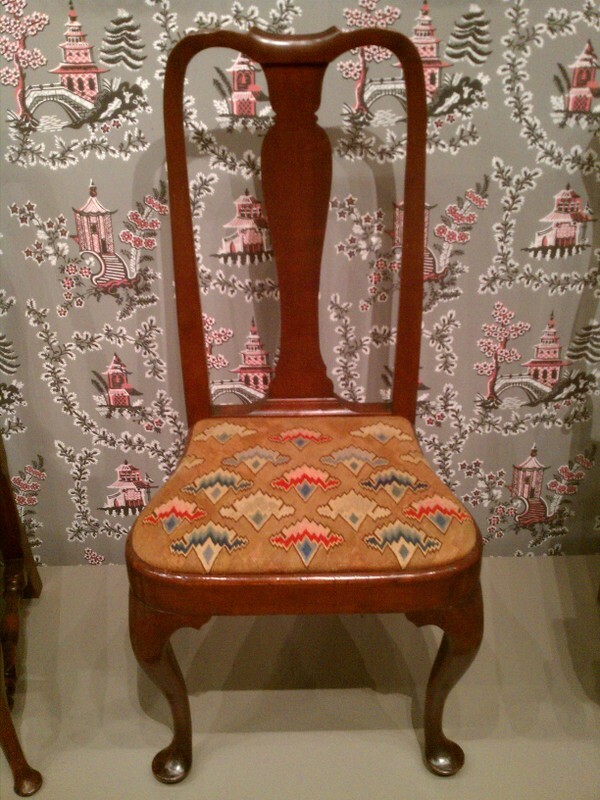 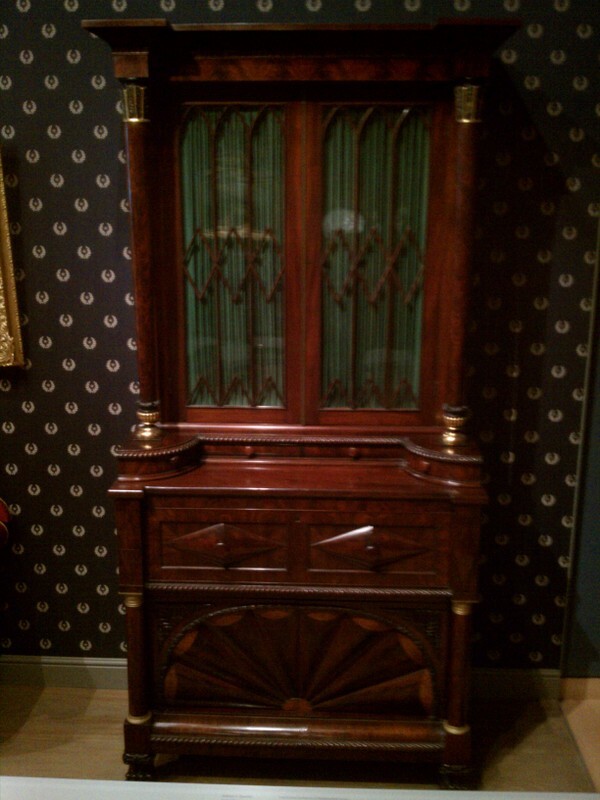 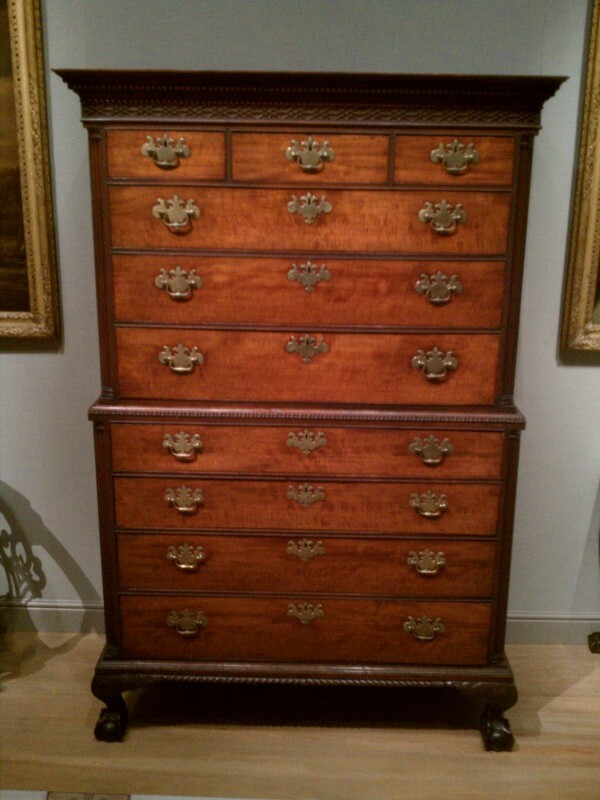 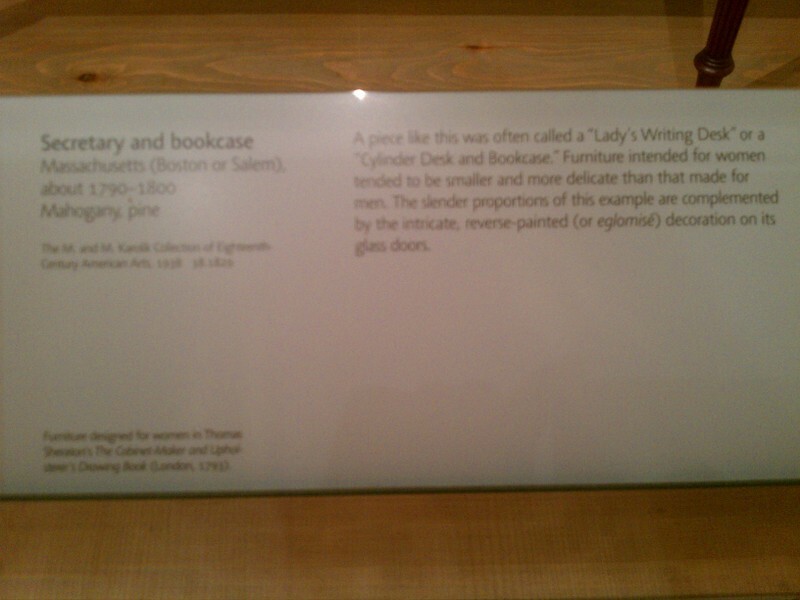 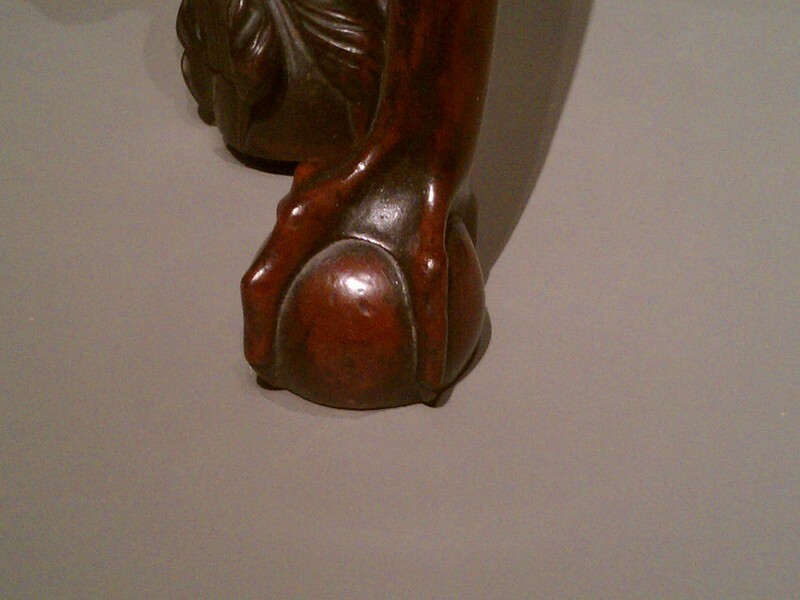 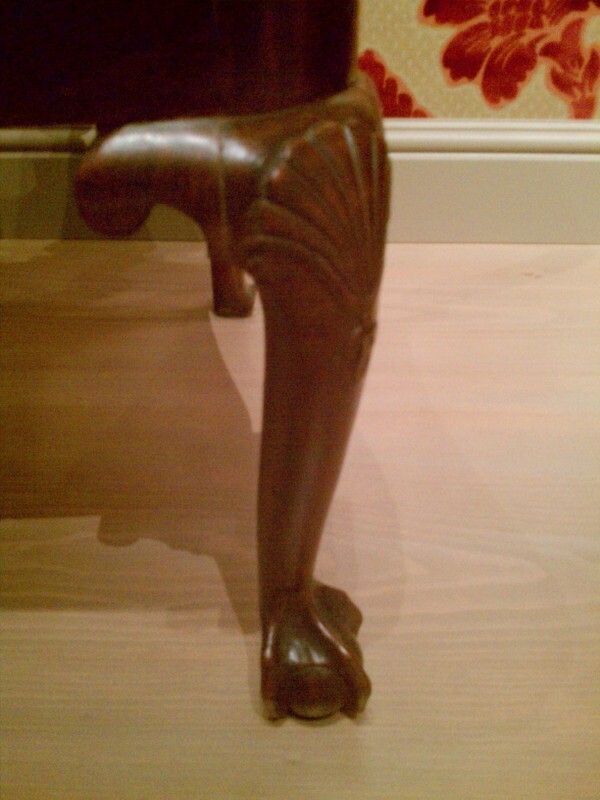 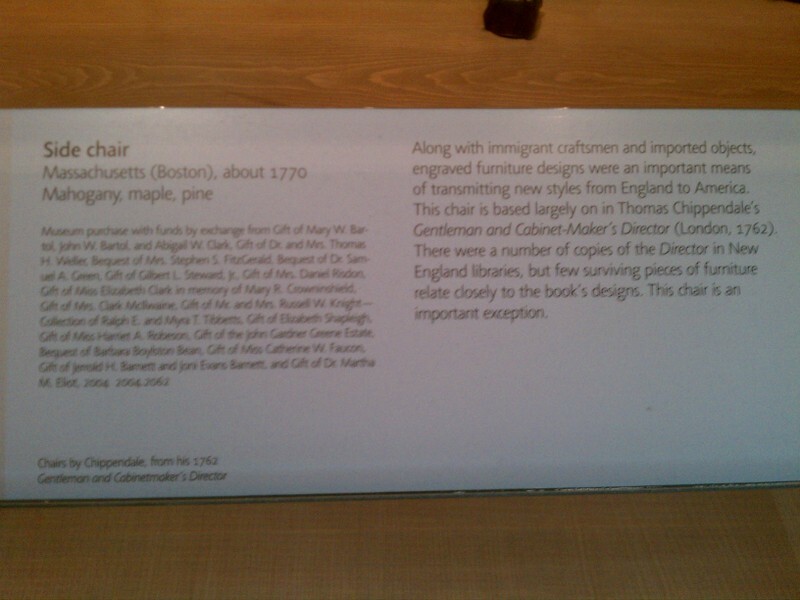 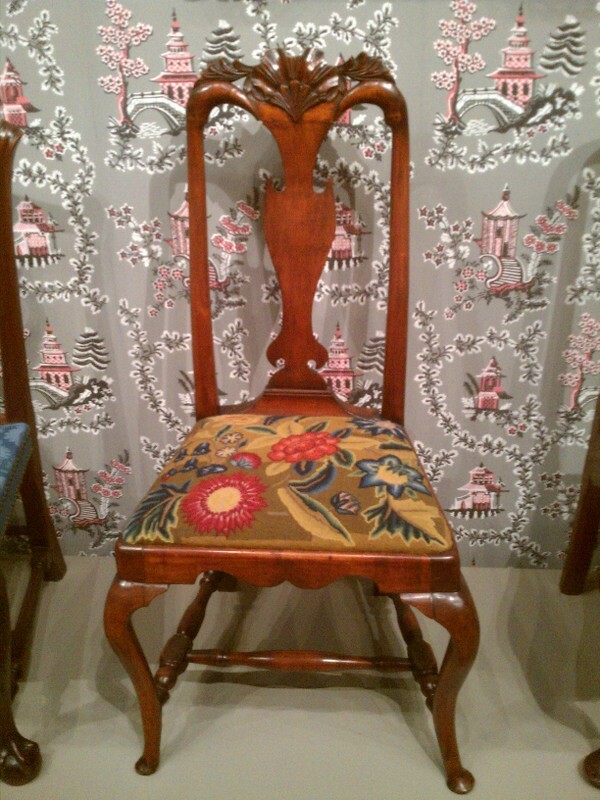 Late last year they opened a new Art of the America’s wing which has a large collection of period American furniture. 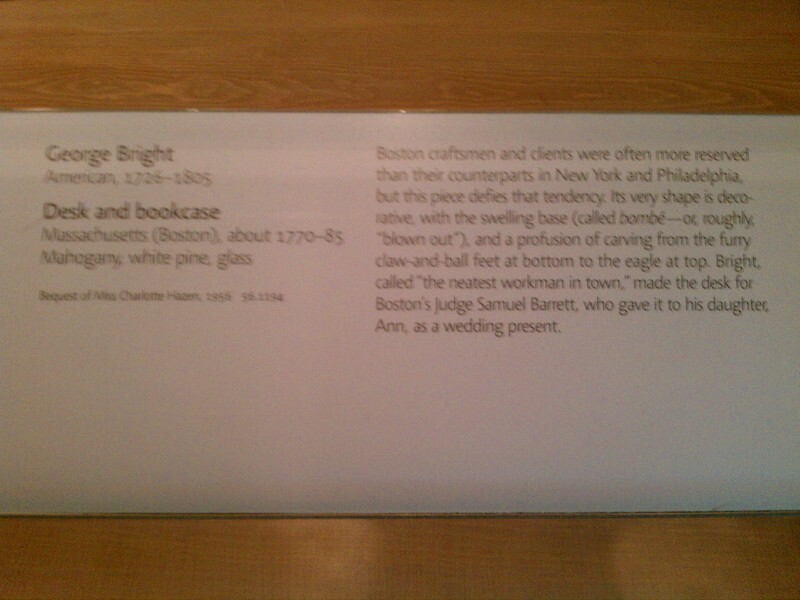 Since they allow non-flash photography I took as many photos as possible with my phone. 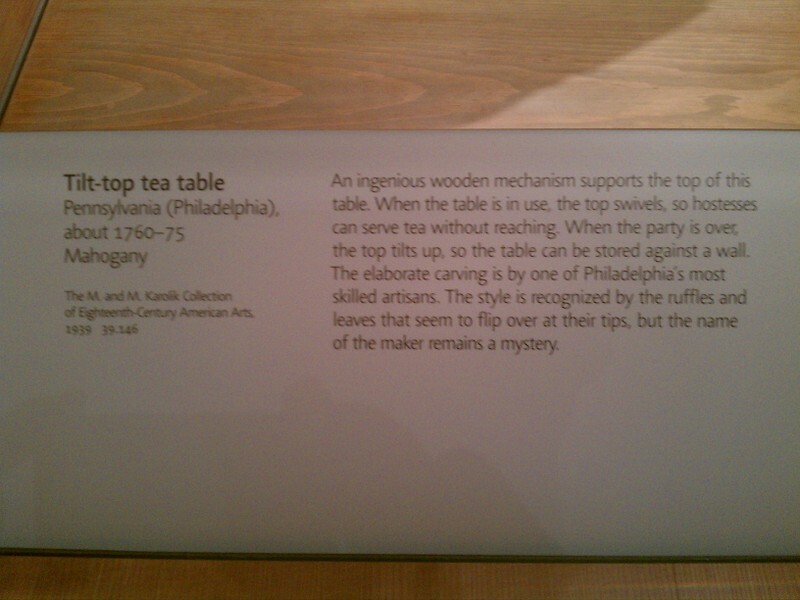 I apologize in advance for the quality – especially some of the description plates. 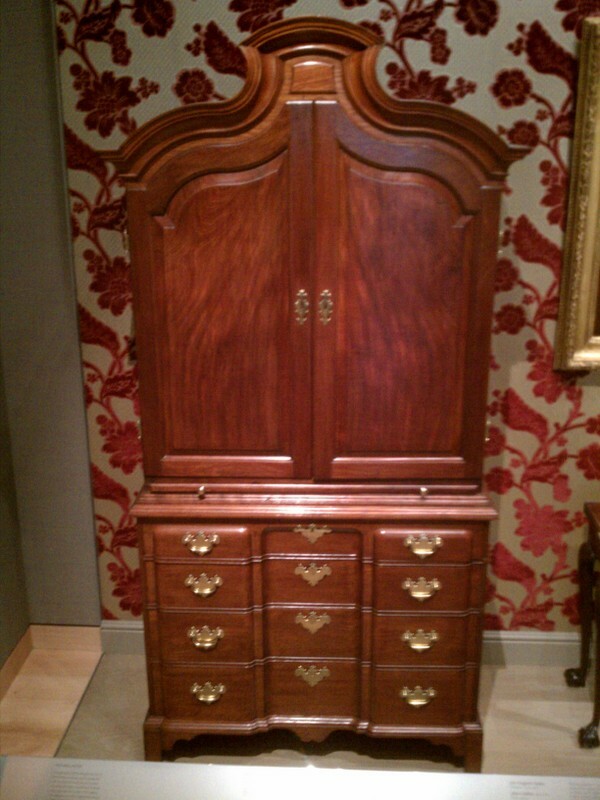 I’m posting all these pictures just to give you an idea of what they have to offer and hopefully motivate you to see the collection yourself. 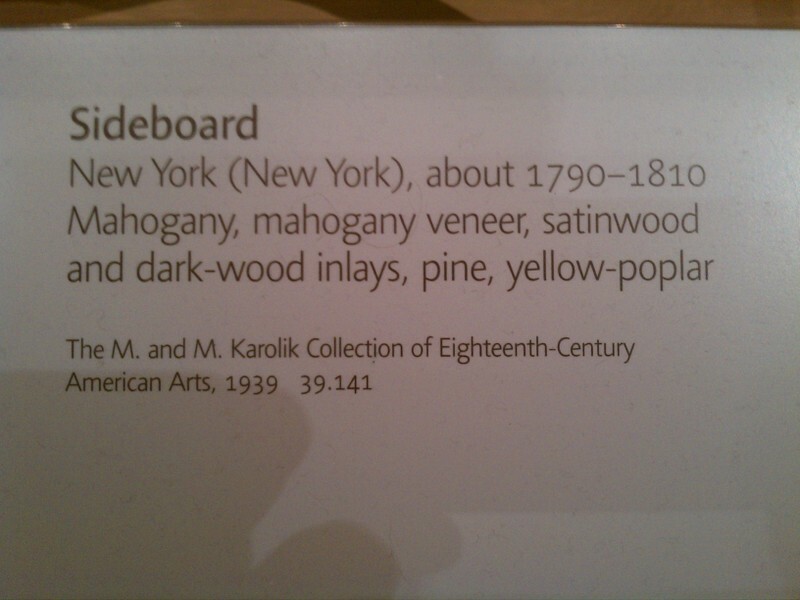 I won’t provide any comentary as most of the shots and their accompanying description plates are self-explanatory. 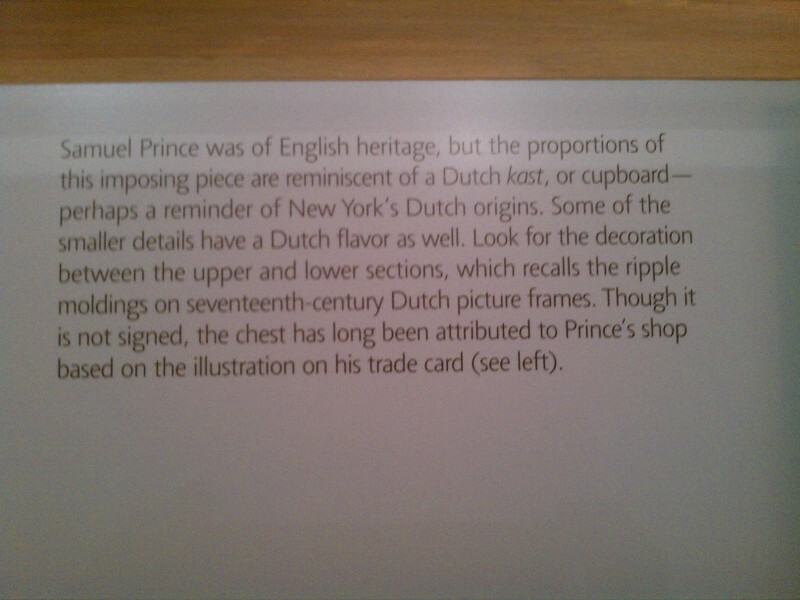 This is not the entire display. 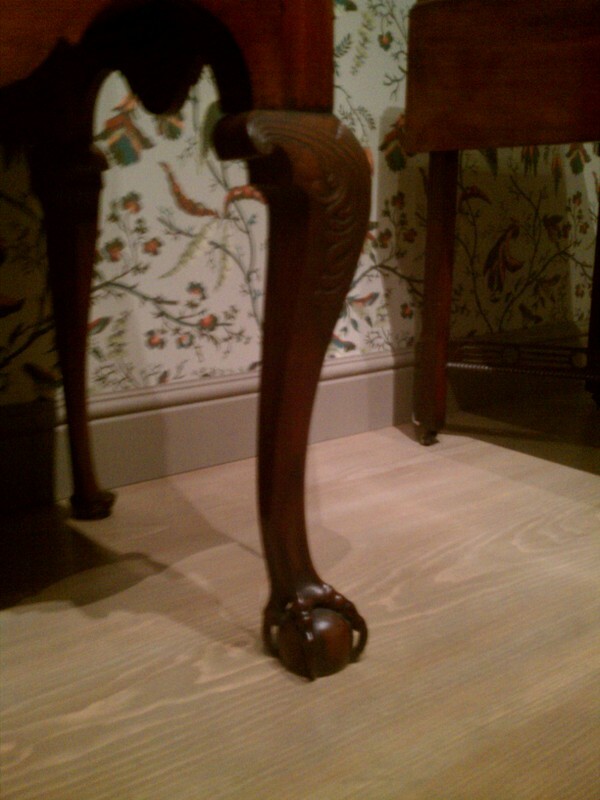 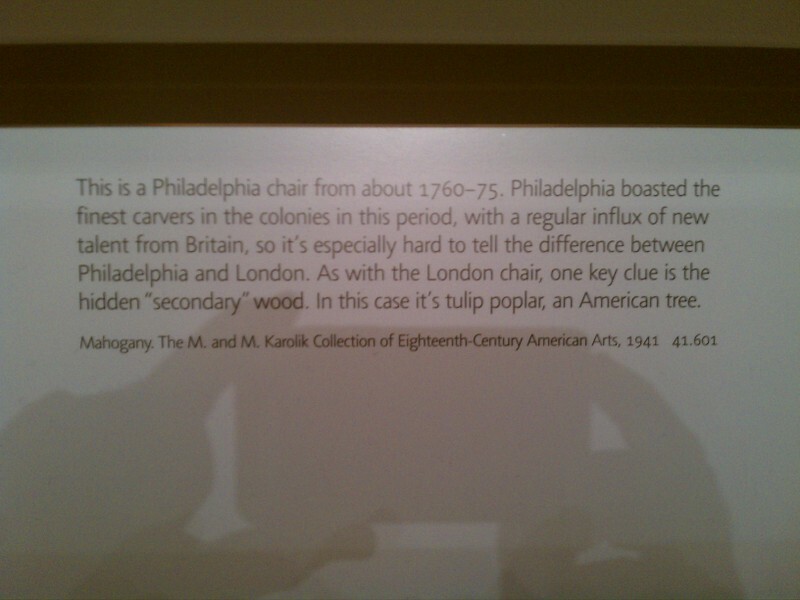 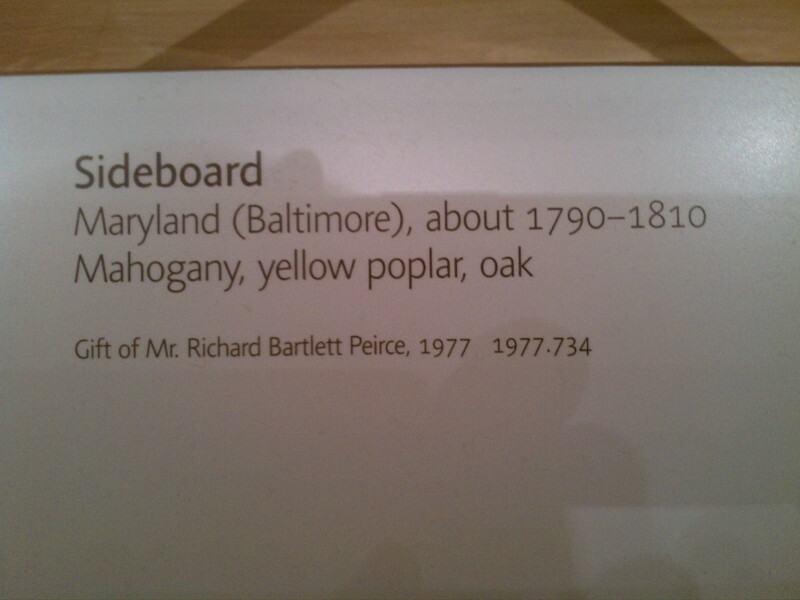 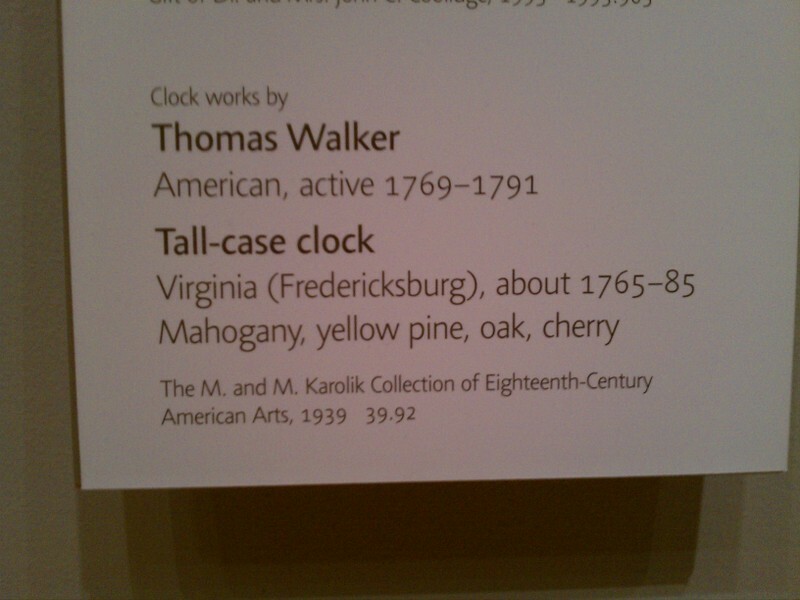 I focused on the 18th Century pieces. 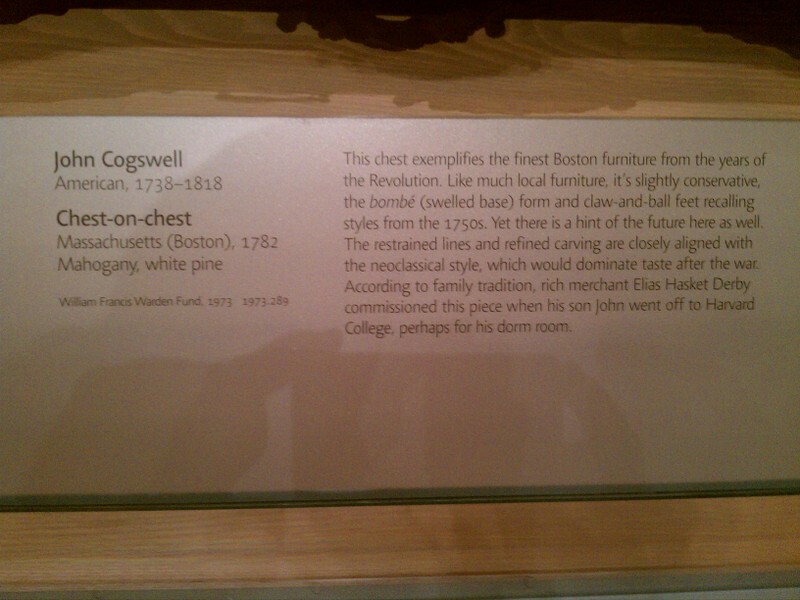 The last piece is one that they had set aside that was opened up to show the construction details. 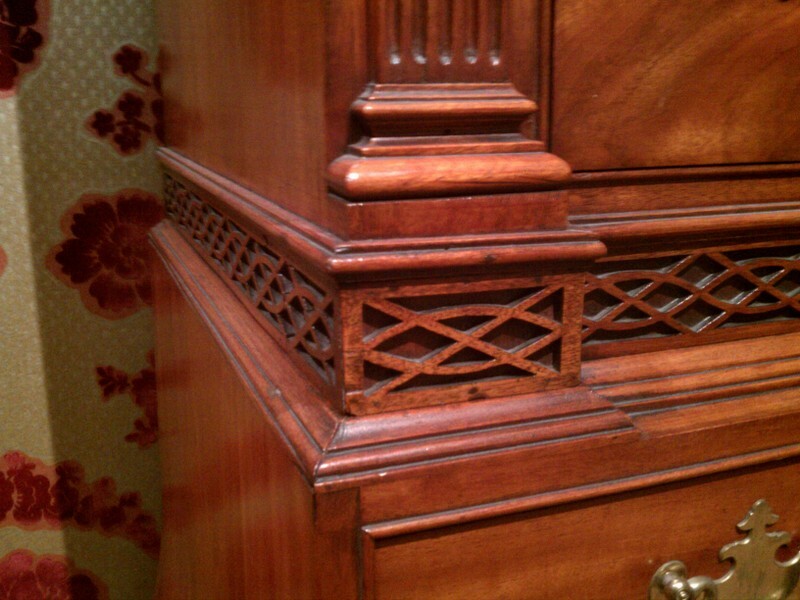 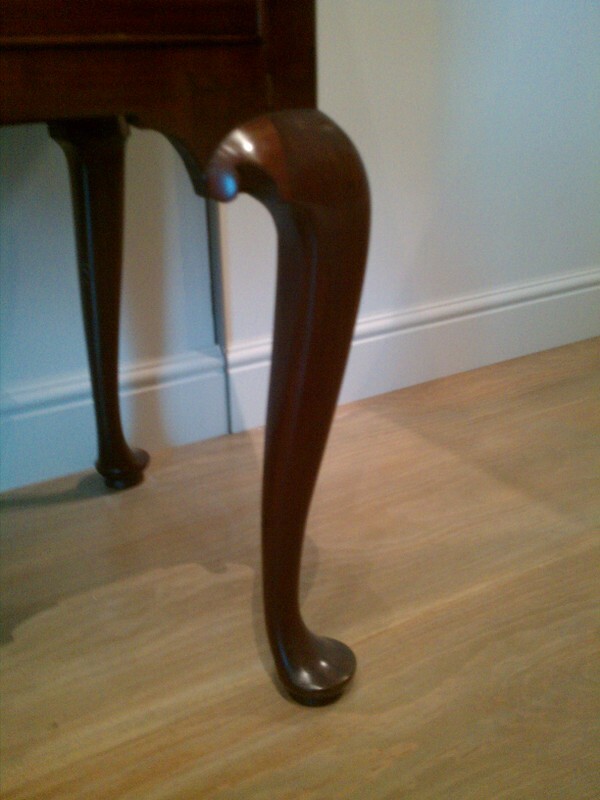 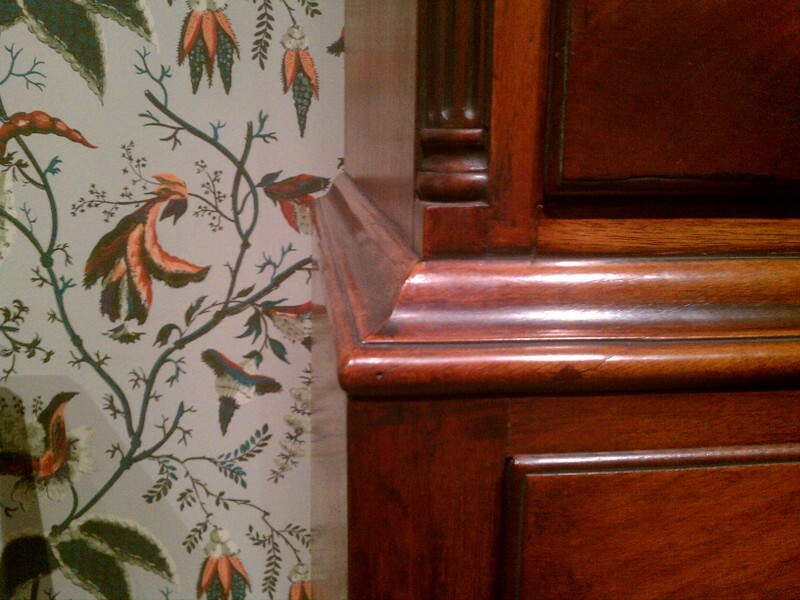 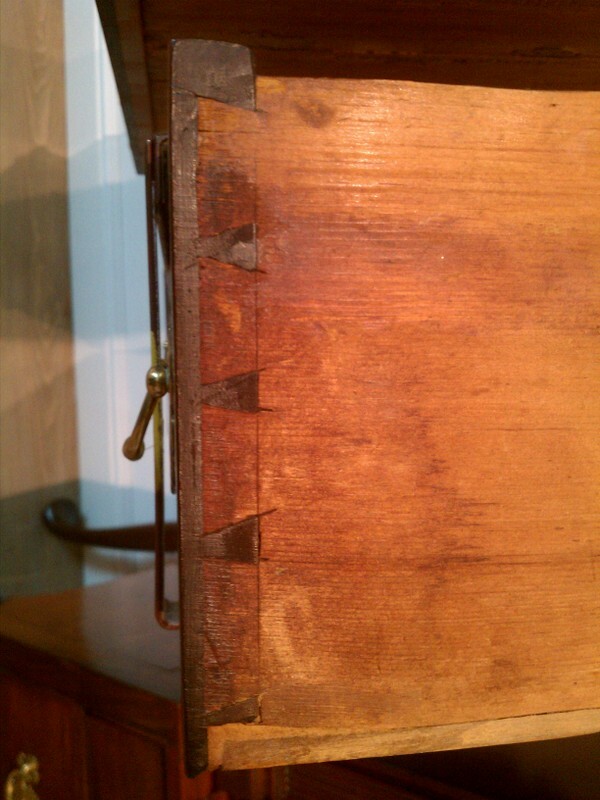 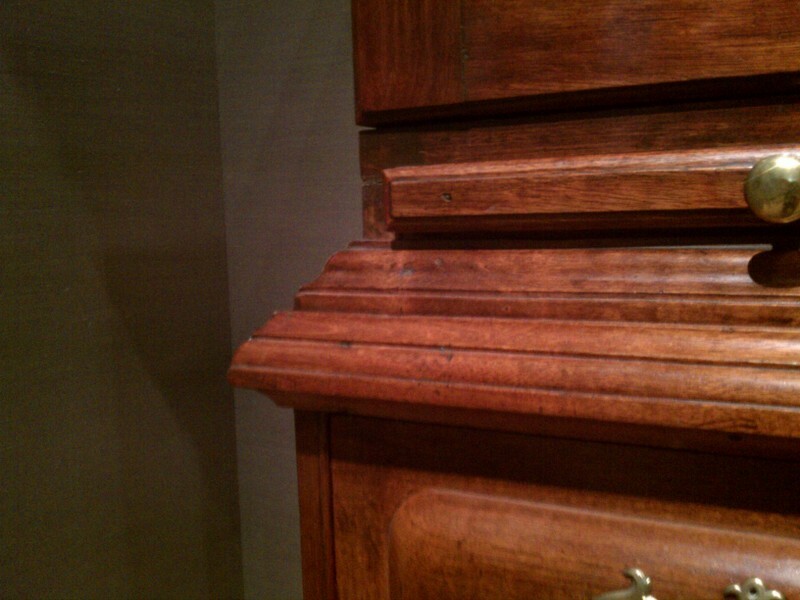 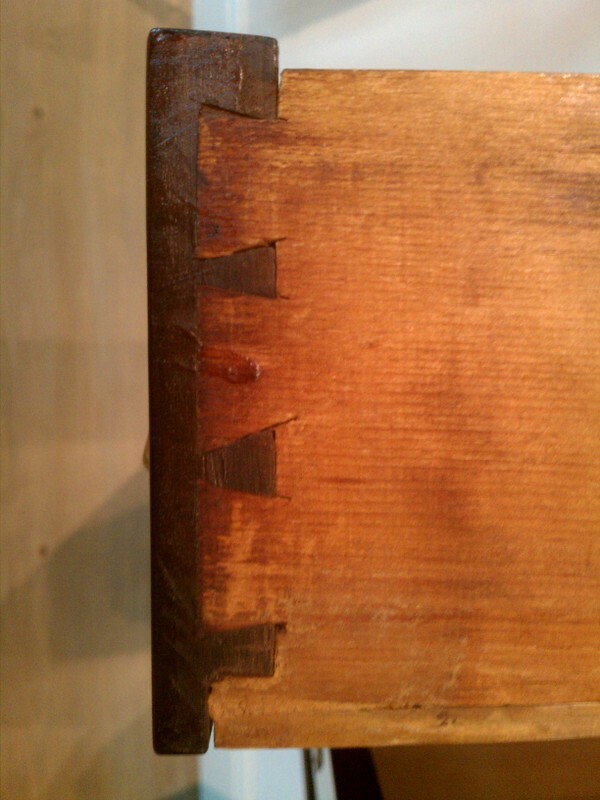 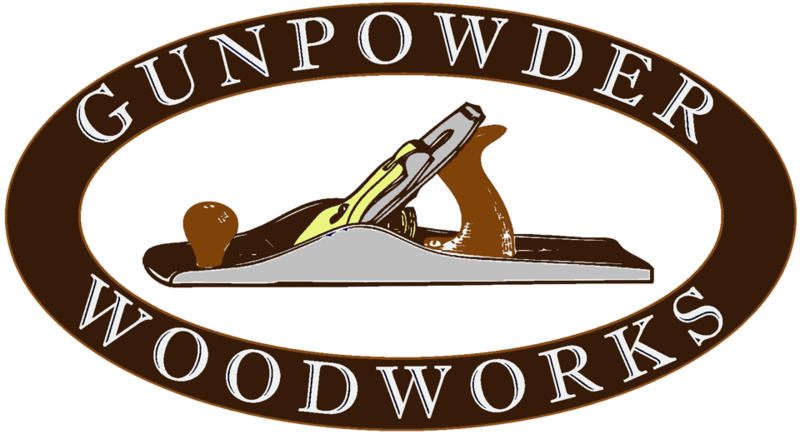 Notice the execution of the dovetails compared to the standards that we hold ourselves to today.